You'll find many pieces bring in the style of an outdoors-man with an urban flavour. The colours are natural tones of beige, brown, green and blue with hints of bright colour. 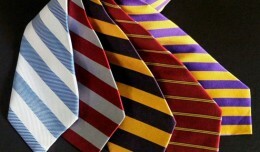 Most men today don't even know that there were certain rules to wearing ties. It used to be that a man was supposed to wear a black tie with a dinner suit. This is the time of year when men want to beat the heat just as much as the ladies do. That means wearing shorts, sandals and even rolling up your trousers for that preppy look. His spring 2012 collection had hints of retro inspiration and the usual tailoring the designer is known for.